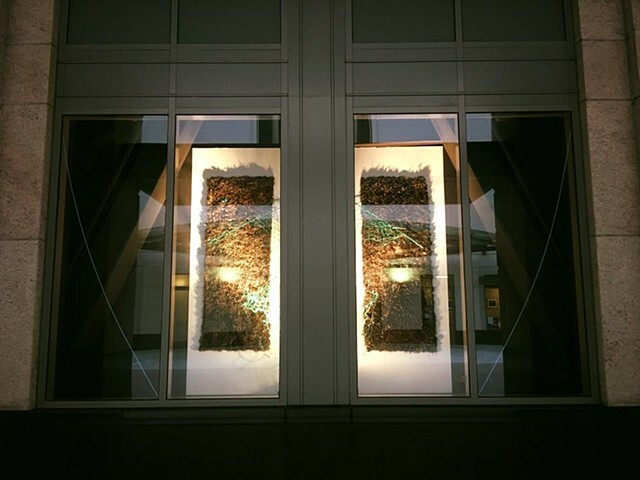 2 x 2 Solos is a series of solo exhibitions featuring new work from four accomplished emerging artists based in the Oakland/Bay Area. 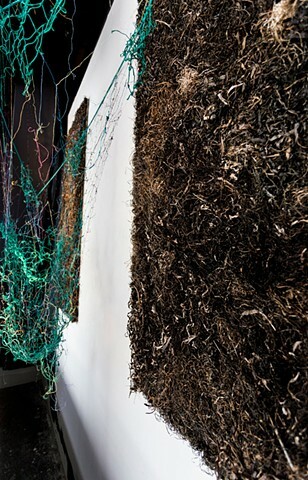 The program recognizes artistic excellence and supports the freedom to create challenging and noncommercial work. 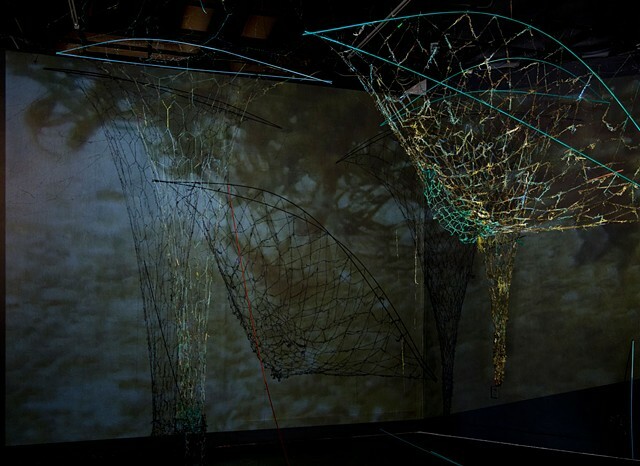 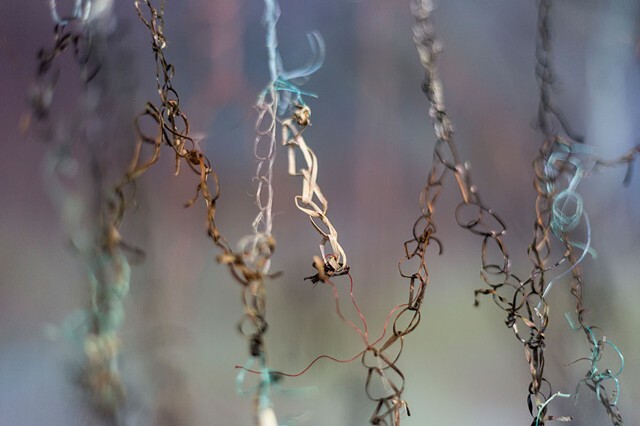 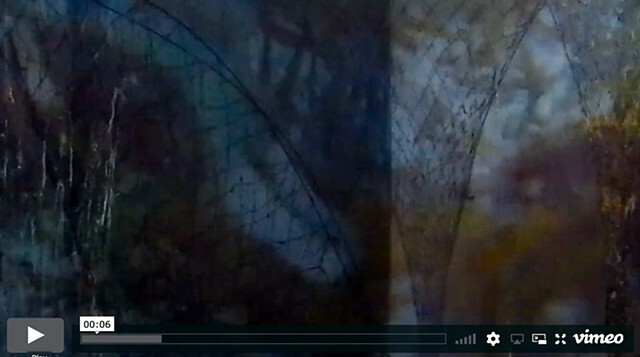 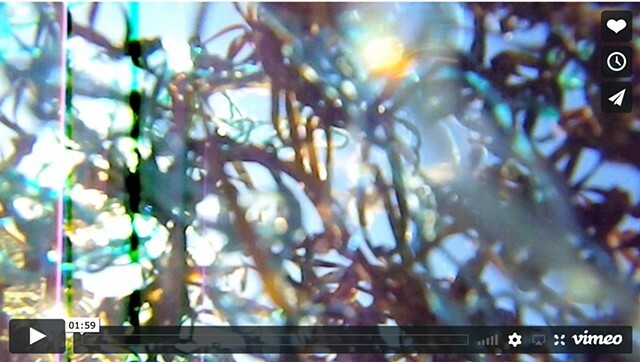 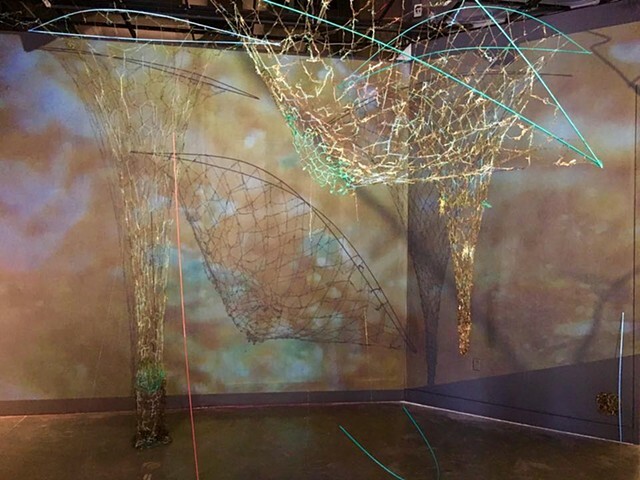 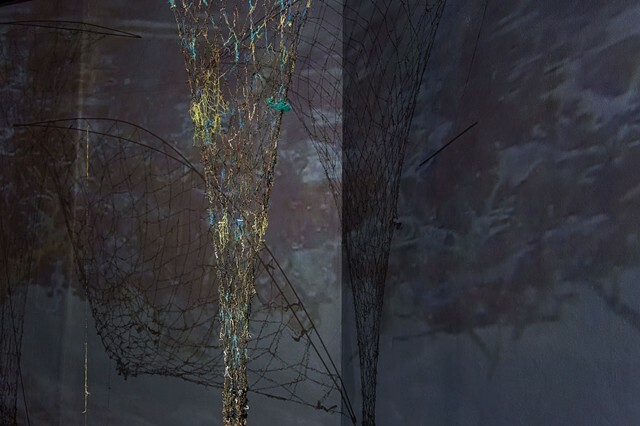 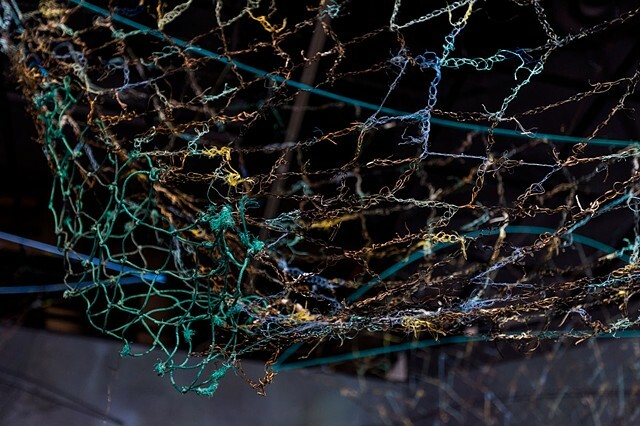 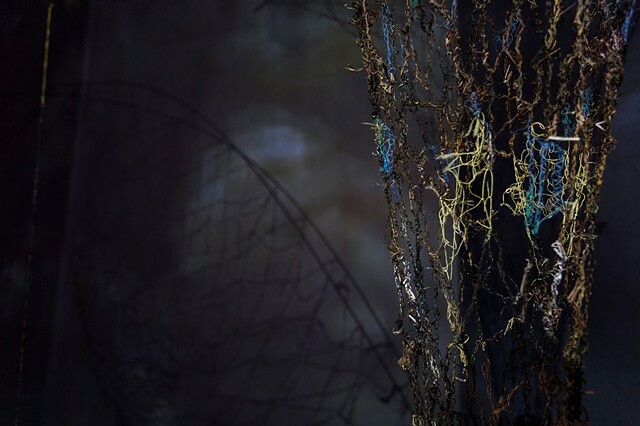 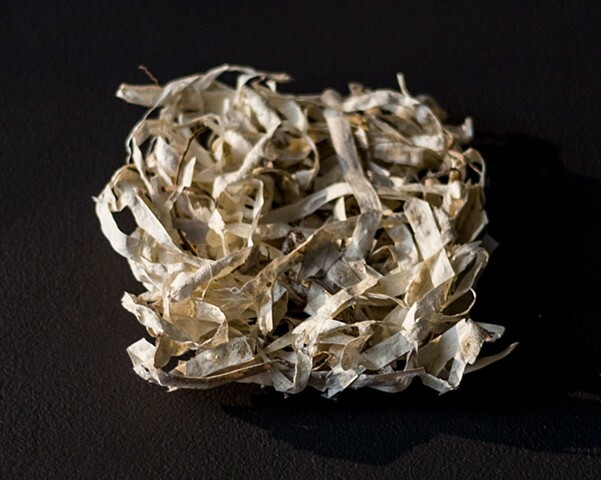 A site-specific installation of found, natural and manmade materials exploring the desire for connectivity, the fragility of networks and the effects of displacement in relationship to the body. 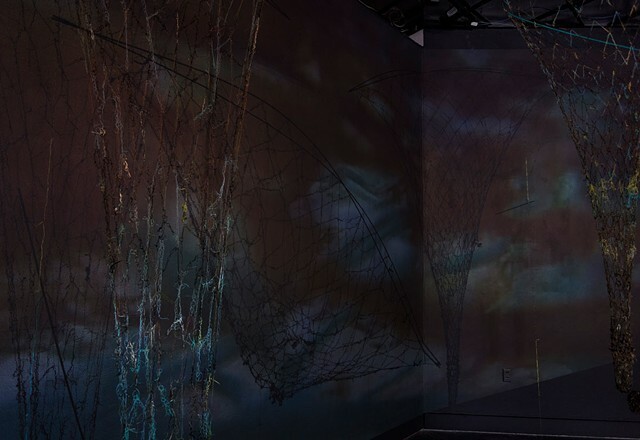 To quote Reynolds words: "Skandali’s rooted in a deep reverence for the natural environment and the importance of place as a signifier for identity. 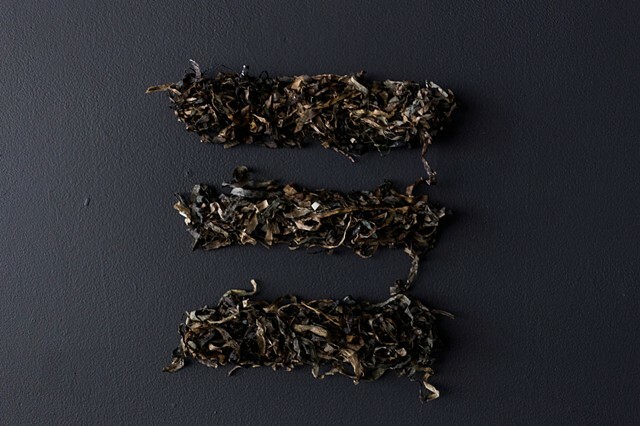 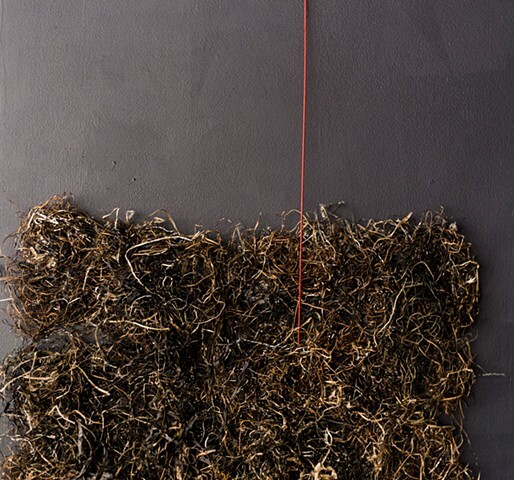 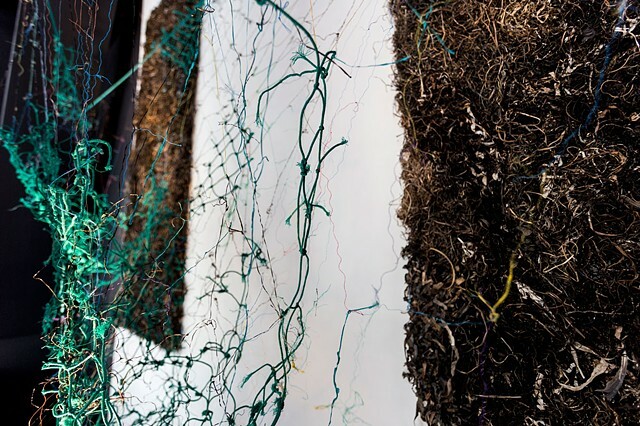 Gathering materials from her home island of Paros, Greece, local Bay Area beaches and international travel destinations, Skandali collects, dries and crochets strands of seaweed, among other materials, to create an immersive environment within the gallery. 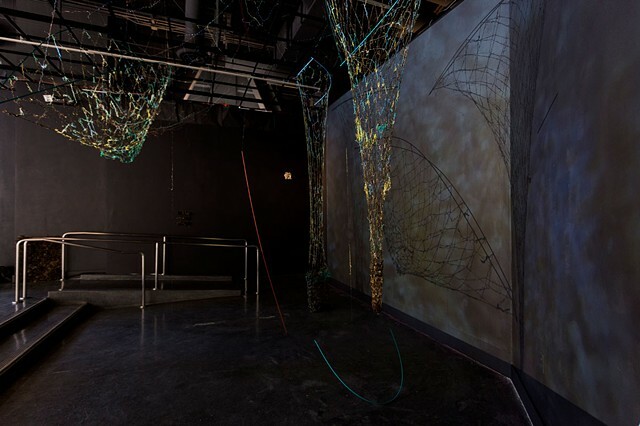 Through her labor-intensive process and repurposing of materials, Skandali creates an open-ended and empathetic space for visitors to explore and investigate.